If you’re looking to book your next getaway but you’re unsure where to head to, Costa Rica is an excellent choice. Although relatively small, this beautiful country is home to one of the largest varieties of animals and plants in the world. If you’ve never been, here you’ll discover why Costa Rica should be on your bucket list. Costa Rica is home to some of the most beautiful beaches in the world. It consists of over 1000 miles of coastline, with waters remaining warm all year round. While some of the beaches can get extremely busy in peak season, there are plenty of quieter, more deserted beaches for those who prefer to get away from the crowds. You won’t have to worry about bumping into many Brits either. 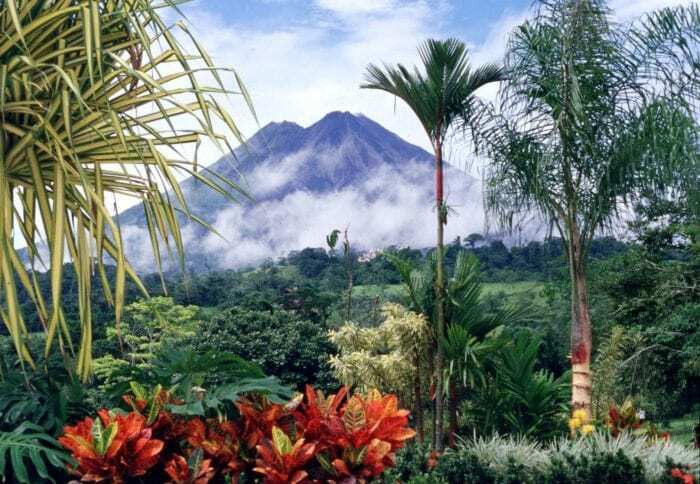 A recent survey found that just 1.4% of Brits have actually been to Costa Rica. So, you’ll be one of the very few to have soaked up the sun in this magnificent country. Prefer to be a little more adventurous on your travels? As well as hosting some of the World’s best beaches, Costa Rica also has plenty to offer the adventure seeker. You’ll find a huge range of adventure activities on offer from hiking to white-water rafting and surfing to zip-wire; there really is something to suit everyone here. You’ll even find over 12 volcanoes to explore (from a safe distance obviously!). Companies such as Exodus Travel offer great adventure holiday packages to Costa Rica. So, if you love to get your adrenaline going, Costa Rica should definitely be on your bucket list. The food in Costa Rica is truly delicious, packed full of exotic flavours. It’s also renowned for it’s coffee, with some claiming it’s the best coffee in the world. That in itself is reason enough for coffee lovers to put it on their bucket list! The locals are friendly too. In fact, the people of Costa Rica have been polled as the happiest in the world. They’ll always greet you with a smile and make you feel welcome. Few places in the globe offer such a remarkable, friendly atmosphere. These are just a few reasons why you should add Costa Rica to your bucket list. It really is one of the most beautiful places in the world. Costa Rica is high on our bucket list! The deserted beaches sound amazing and would definitely try the white water rafting and the zip wire. Sounds like paradise! Costa Rica looks and sounds amazing! Definitely a destination on the bucket list!